As part of a standard consultation all our clients are assessed using our cutting edge dynamic pressure analysis system. This footscan® system can record up to 500 frames of data a second, this allows in depth analysis of the pressure and force distribution and their association with the biomechanics of the foot. This gives Paul vital information that could be missed during observation alone. The information gathered using this system is also used to help Paul to manufacture appropriate orthotics if necessary. No need for messy casting or antiquated measuring. During the standard consultation (unless contra indicated due to injury) Paul will also take you outside and physically watch you running in a natural environment. This allows him to assess the gait pattern in the ‘real world’ environment. At Yorkshire sports podiatry we feel this is the most accurate method of gait analysis. At Yorkshire sports podiatry, we will also use video analysis techniques to assess your gait pattern. Due to the reliable nature of it’s software all our computers are apple based products. This ensures seamless integration between traditional methods and cutting edge technology. 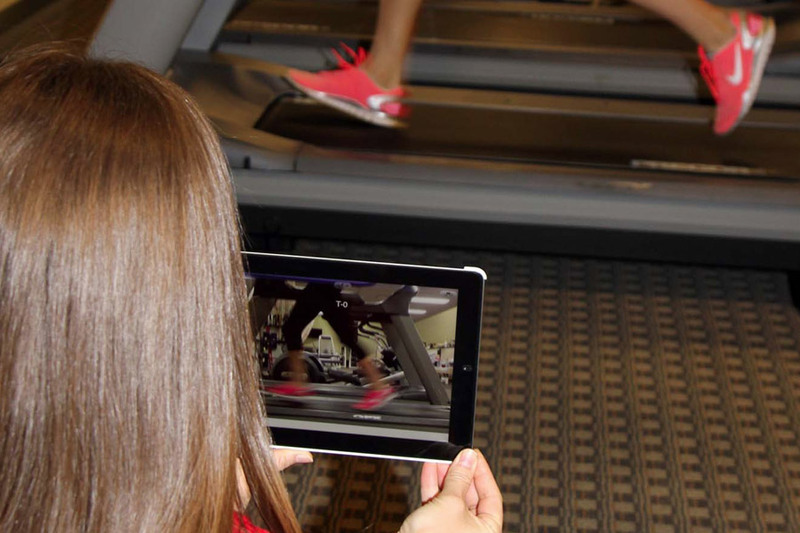 During a video gait analysis consultation you will be recorded either outside or on the treadmill (or both), the video will be synched, analysed and the results explained to you. Should you require a copy of the video, this can be emailed to you at the time of the consultation. Playback can be viewed in real time or slow motion, so the individuals gait pattern can be discussed. Paul can also annotate and overlay graphics to explain exactly what is happening during the gait cycle. Whilst this is not the a diagnostic tool, it is and excellent visual aid ensure client understands the mechanistic cause of their problem. During the consultation, the patient will be asked to change into their shorts and will be placed on a treadmill for the images to be captured. Gait will be analysed either running or walking dependent on the activity that the athlete undertakes. 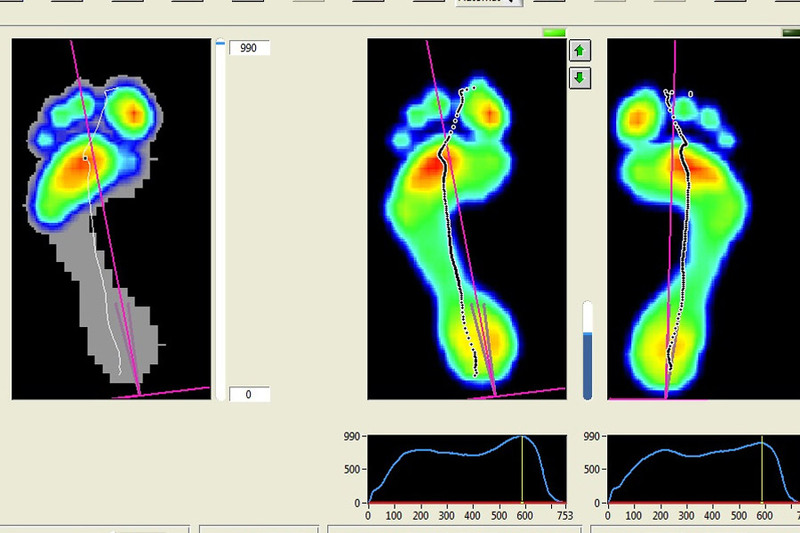 For non athletic patients and children we will modify gait analysis assessment as per their personal capabilities. What is the difference between this service and the free biomechanical assessment advertised by my local running shop? Whilst your local running shop use video analysis to recommend appropriate footwear, our specialist is looking for subtle mechanical dysfunction that could be contributing to injury. Often issues such as ‘over pronation, are due to a compensatory mechanism to relieve stress further up the chain of motion. This is why it is important to identify the underlying cause of dysfunction and treat appropriately. Blocking compensatory pronation at the foot, for example, with a motion control shoe can cause issues elsewhere in the body. The latest ‘cloud’ based storage solution and motion control, gait analysis software is used to complete the analysis and record the findings. “I was initially recommended Paul’s services over ten years ago and have consulted him on a regular basis for both acute injuries and the prevention of recurring symptoms through the prescription of orthotics. Paul was very highly recommended and I was aware he worked with various high profile sports people and clubs. It was apparent from the treatment I received and continue to receive why he was so highly recommended. I play amateur sport to a national level and still represent my county. Paul provides a very professional level of service and due to his experience and knowledge across the full range of sports and disciplines he is able to provide specialised advice and tailored prescriptions for whatever the issue may be. Paul is also concerned about the ongoing care of his patients and will often contact me for feedback on my latest orthotics and check and monitor my progress in terms of rehabilitation. Paul will also make recommendations and review prescriptions for prevention purposes which is vital in maintaining fitness in high impact sports where acute injuries and wear and tear are so commonplace.